Welcome to The Forest Apartments. Our magnificent blend of 5 apartment communities located in Glen Burnie, Maryland, are perfectly situated to enjoy life’s moments. 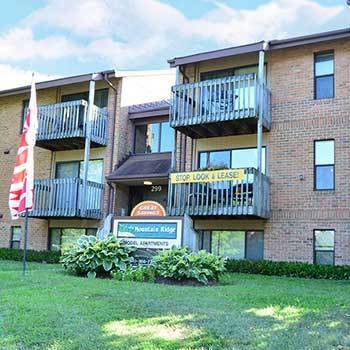 Located in Anne Arundel County, our affordable apartments keep you connected to the things that matter most, like major employers, shopping centers, and excellent public education. 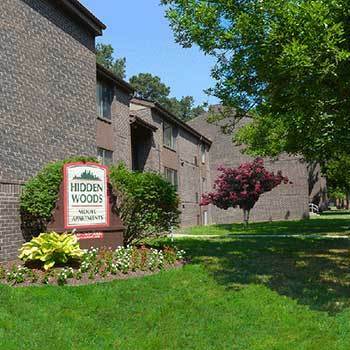 Browse our one, one + den, and two bedroom apartments for rent at Hidden Woods Apartments or Tall Pines. 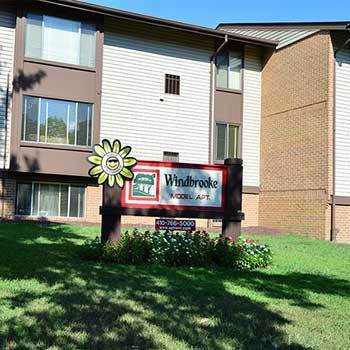 Choose from studio, one, one + den, or two bedroom apartments for rent at one of two exceptional communities in Glen Burnie: Windbrooke and Rainbow View. Enjoy the comfort of a one or two bedroom apartment with expanded outdoor living space in Anne Arundel County. 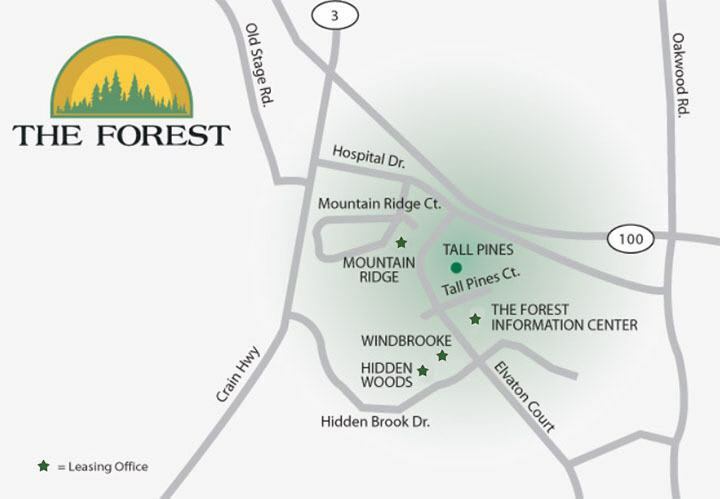 No matter where you need to go, The Forest offers you a convenient location to access it all. Do some shopping at Marley Station Mall. Pick up a coffee at Starbucks in Southdale Shopping Center. Spend an evening out with friends at Maryland Live Casino. And as an added convenience, our communities are close to I-97 and I-695 so you’ll have no problem making it to Washington D.C. or Baltimore/Washington International Thurgood Marshall Airport. Take I-695 to exit 4 (Route 97 S) to 100 East. Take first exit, turn right onto Oakwood Rd., then right on Hospital Drive. Left on Elvaton Rd. to first left onto Tall Pines Court.